Serving successful business owners and high-asset individuals throughout the greater Las Vegas metro region and all across the state from our office in Las Vegas, Nevada, the attorneys at Lobb & Plewe are here to help you with virtually any legal matter affecting your company, your commercial real estate investments, your livelihood and your future. Established in 1993, our law firm has grown to include three total offices throughout California and Nevada, and we have earned a reputation as one of the leading legal practices in the region for business law, estate planning and real estate. This level of success is the direct result of our unwavering commitment to those we serve, and we promise to do whatever we can to help you achieve your goals and protect what you have worked so hard to achieve. Recognized for our success, our attorneys have received numerous awards and honors, and our law firm holds an AV-Preeminent peer review rating* from Martindale-Hubbell. This means you can expect to receive the highest level of counsel and support possible from a local attorney you can trust with your most sensitive legal issues. 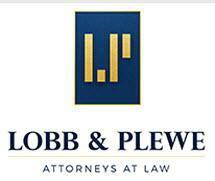 For more information on all we can do for you and your business, you can contact Lobb & Plewe to schedule a consultation.